Mar 24 Day 84 - Egg Cups. Day 84 - Ta Da! How's that for an intro to Thursday? Let's throw in some jazz hands for a little drama. You can't see me but I'm waving my hands wildly. Speaking of drama, who's hosting a holiday dinner at their house this weekend? I always love to dream about perfectly arranged spring tablescapes. 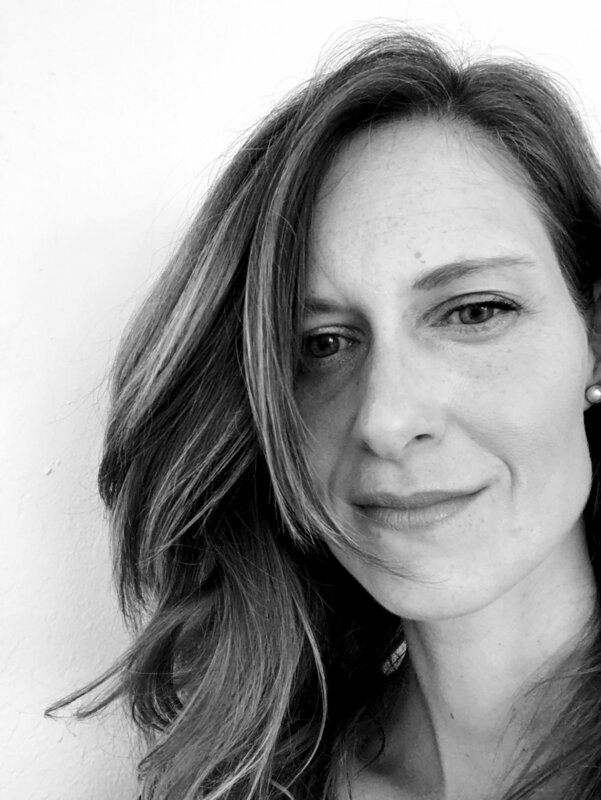 They are always cue the start of spring and renewal. When they feature beautiful spring flower arrangements, an array of pastel colors and gigantic dark chocolate bunnies these spring tablescapes make me sigh. All this spring jazz got me to thinking about what I would put on my spring table, which brings me to today's project, succulent egg cups. 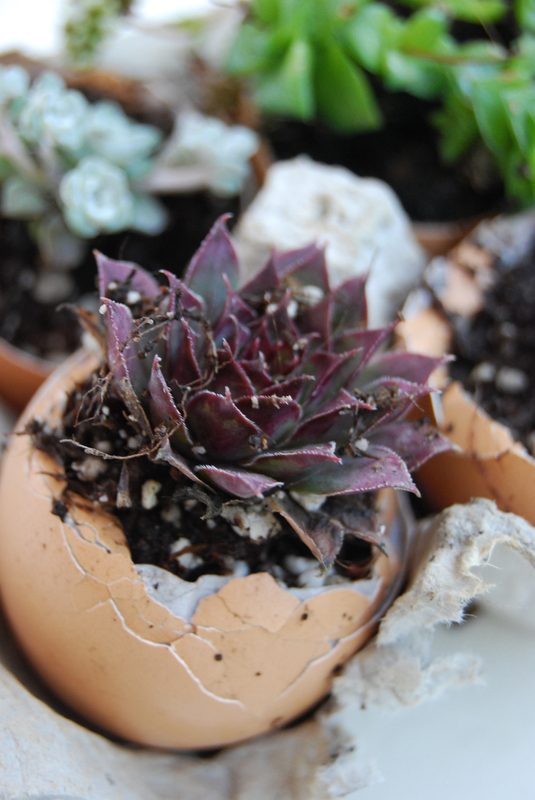 Since we most likely have a few egg shells lying around this time of year, they are a simple and creative way to be kind to the earth and add beauty to any spring table. First find a work area and place down newspaper. Cut the top off the egg carton. 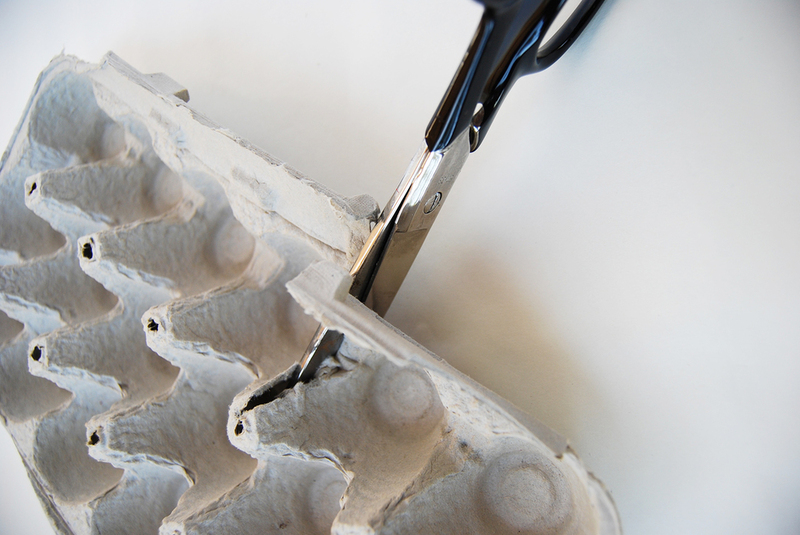 Cut the egg carton in half if only creating six egg cups or less. 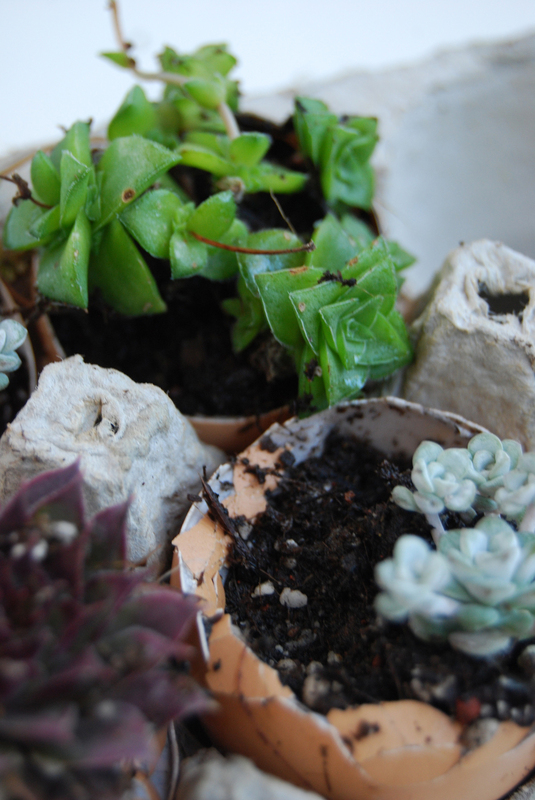 Now remove the succulents out of their pots and break up the roots. 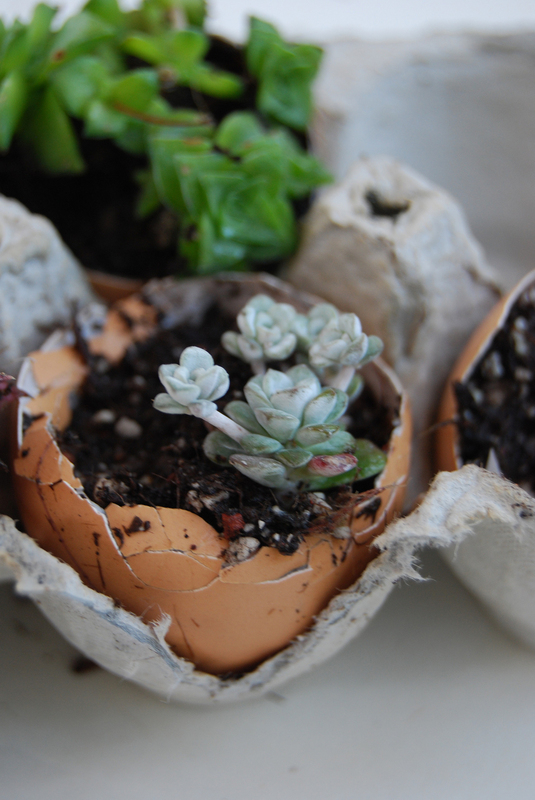 Fill the egg shell with 1/2 dirt and then add one succulent plant per egg shell. Put the egg cup in the egg carton. Repeat until all egg cups are done. Fill the tea cup 3/4 full with moss. Add a egg cup. 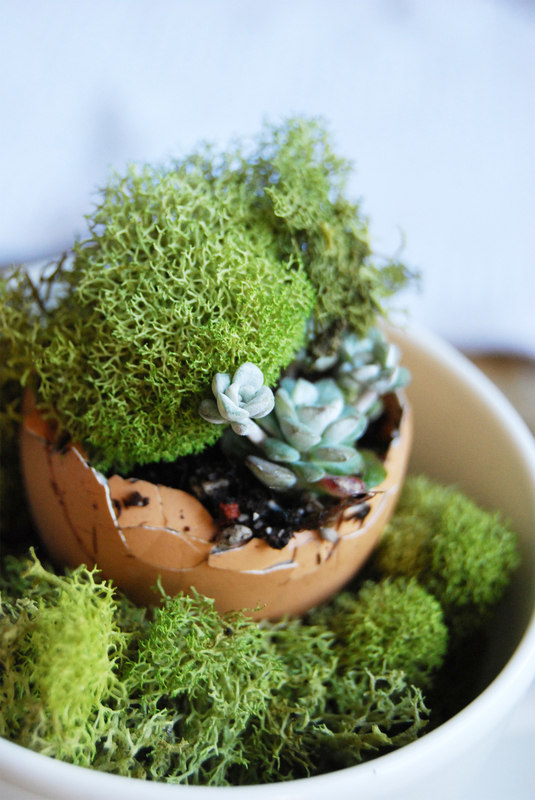 Add a little moss next to the succulent and then add a fresh cut flower on top and bam! Place the egg cups on the a spring table for a lovely spring tablescape accent. 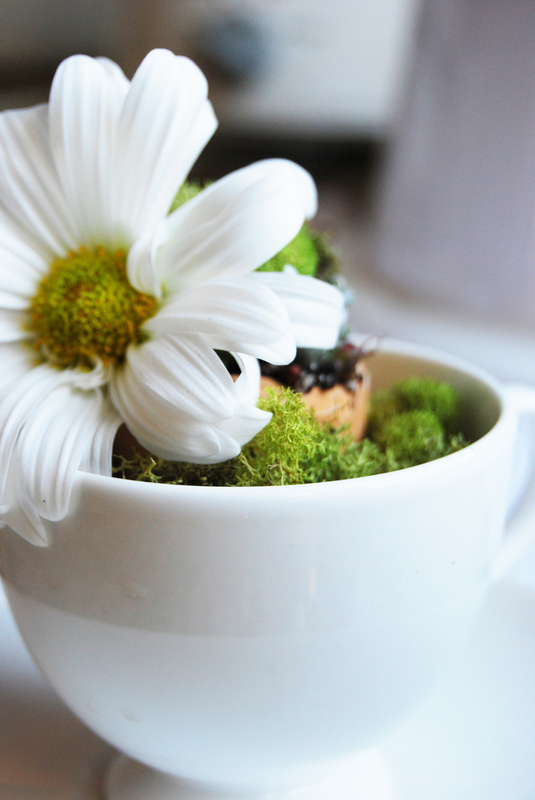 When the spring entertaining is over, take the egg cups out of the tea cup and plant them directly in a pot. 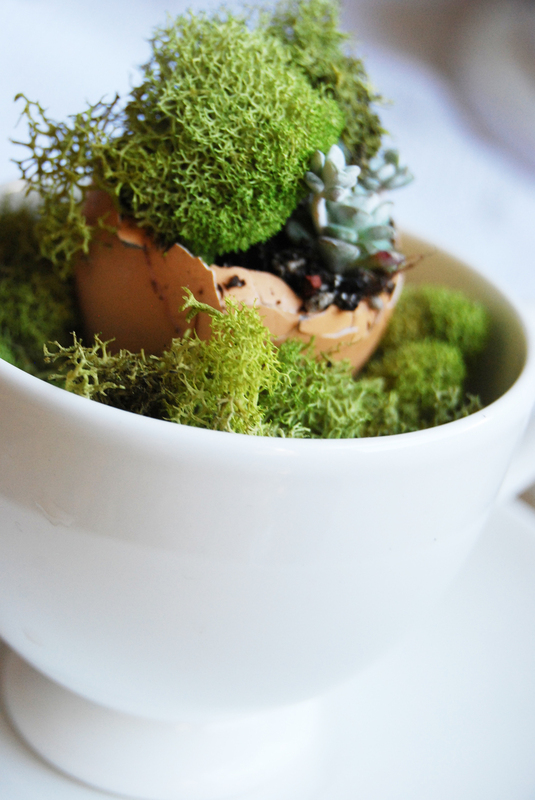 Who knew creating could be as simple as throwing together some dirt and eggs? Dirt & Eggs? I think I have a post for tomorrow. Kidding folks. Or am I? In any case, see you tomorrow! Mar 25 Day 85 - Cracking Up. Mar 23 Day 83 - Art Work.